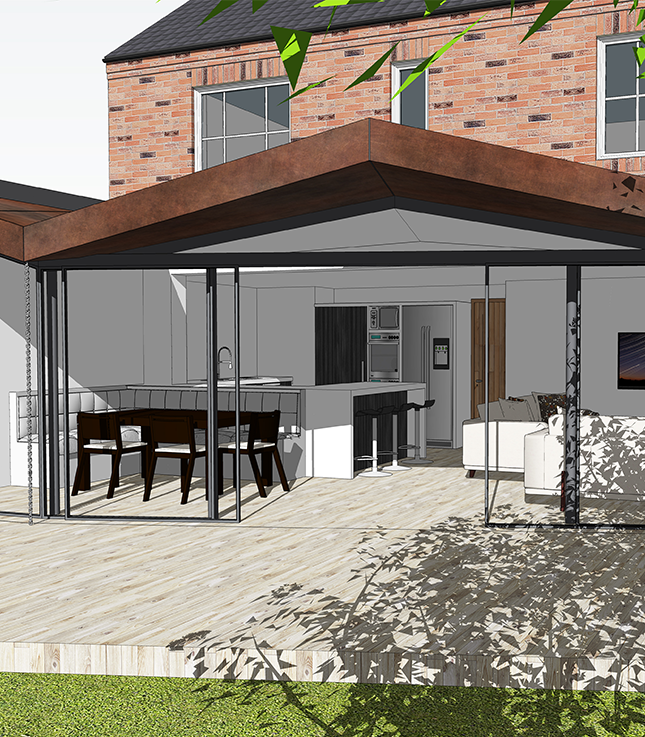 bi design were approached by our clients to design a bespoke statement extension to the rear of their modern estate home in Lichfield. 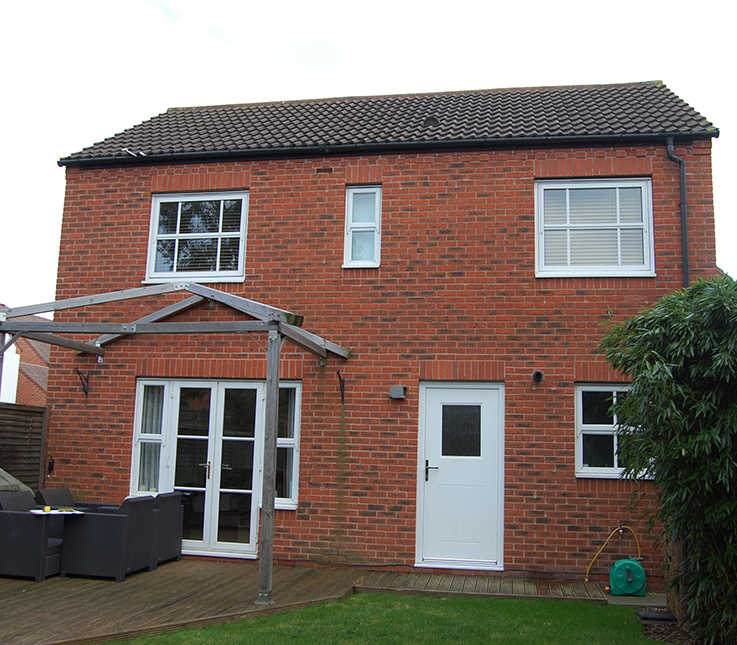 The clients brief was unique in the sense they requested the extension shouldn’t be predominantly constructed from brickwork or render & the roof shouldn’t be tiled or flat. They knew they wanted something unique with a feeling of space, light and better connection to the outside space, but didn’t know how they could achieve what they wanted. The existing house is of very simple form with no projecting corners or low windows to consider when designing the extension against the rear of the house, which helped make it a blank canvas. 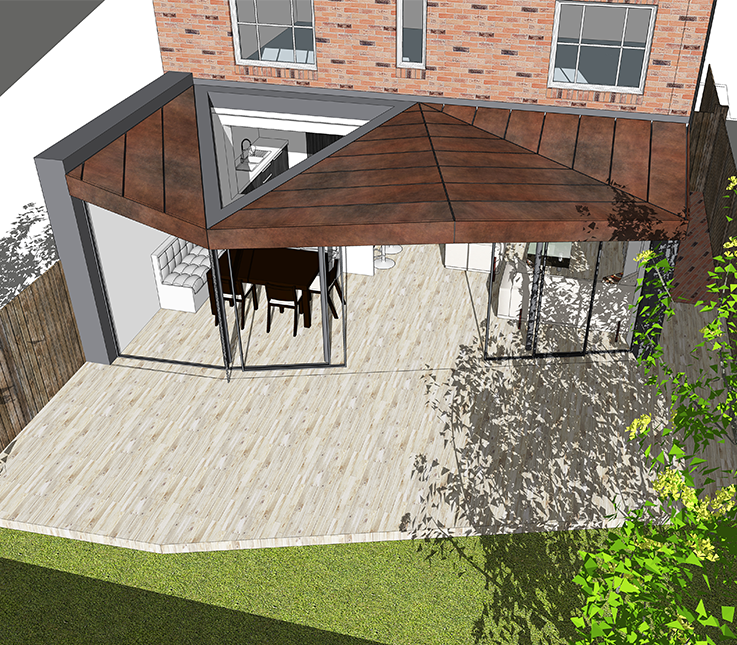 The concept utilises striking weathered copper cladding for the roof and fascia’s whilst the rear wall is all glass. 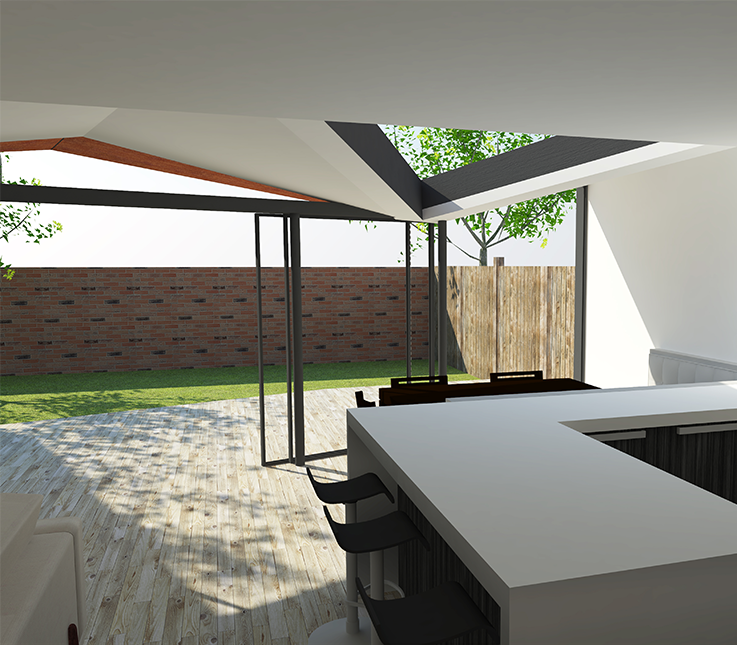 The design of the roof and the angled line of the rear wall of the extension creates the statement the clients were after. A large triangular roof light runs from the existing house down to the lowest point on the roof between two valleys to allow natural light into the core of the house. To make best use of the space available the kitchen was moved across to the other side of the house, and the proposal opens up the rear elevation to create an open plan kitchen, dining, living space with the wow factor of the striking shape, angles, lots of glass and level threshold to the outside.